The Toby jug dates back at least as far as the 1770's and is often seen as a uniquely British form of ceramics. Over the years the form of the Toby has developed from the basic shape of a rotund gentleman with a jug of beer to encompass a huge variety of "characters", and manufacturers both large and small have produced the Toby. 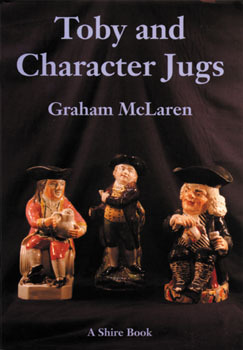 This book is a sweeping survey of the development of the Toby and related character jugs from their early beginnings to the present day, and features countless classic and often quirky examples of jugs in both color and black and white photos. This great new book will be your guide to this fascinating area of ceramics and will provide useful hints and advice for collectors.